It is often the little things in life which can have the greatest impact, as simple as saving you a trip to the chemist/shops, or waiting in for that delivery when you have more pressing things to do. Time is a far more valued and rare commodity than money will ever be, and it seems that this is even more true during these tough times of recession. Everyone is squeezed trying to achieve more in the same time frame than ever before and the phrase ' never enough hours in the day' is one we hear oft repeated by our customers. Maid2Measure Limited provide a bespoke service, so we pride ourselves on our flexibility and our ability to deliver what you really need - not just cleaning. We have helped people move home, visited them in hospital and gone shopping for them. We have collected prescriptions, taken vacuums away for repair, replaced fuses, walked dogs - we have even been known to get birthdays presents on behalf of sons who have no idea what to get or where to get it! 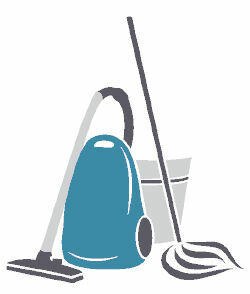 So if you need a bit more than 'just superb cleaning' then please ask - we are always happy to help.